WGBWC365 - S Cubed Productions, LLC. 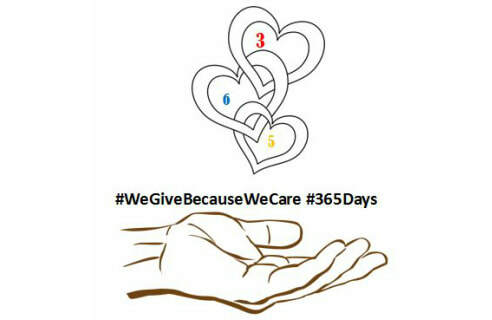 #WeGiveBecauseWeCare #365Days is the community organization turned 501(c), created by S Cubed Productions, LLC, to provide a luxury atmosphere to inner city teens as we groom their minds, hearts and spirits to recognize that they are our future leaders of the World. We want to impart important social and personal values that will leave room for their individuality. We want to give back not just for a season, but #365Days a year. 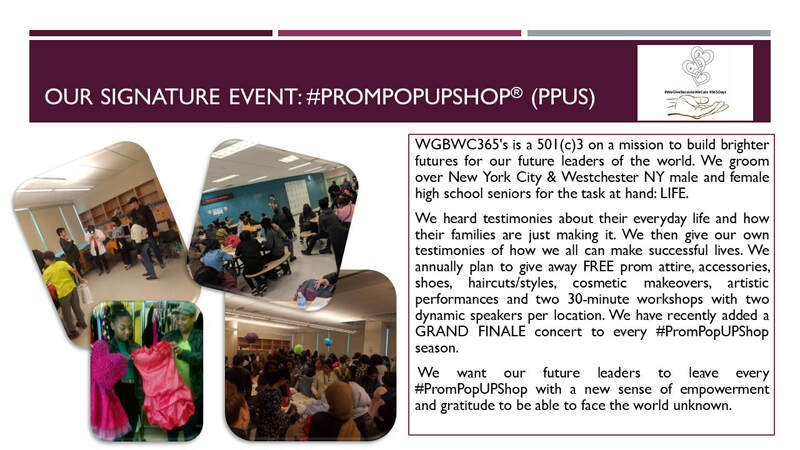 #WGBWC365 just partnered with #BecauseWeCare to further extend services to the community via non formal #Free Pop Ups throughout the NYC TriState area to men, women, and children that are in need. We will continue to serve and create a sense of Hope For Humanity by providing a sense of unity in the community. The monetary donations will benefit youth enrichment programs in under served metropolitan areas across the USA. Donations are received via PayPal @ wgbwc365@gmail.com and/or CashAPP $wgbwc365. ​365: Every day of the Year. Open Hand: We'd Love to Give. It's easy! Just fill it out the After the Storm Form and expect to receive your care package in 3 - 5 business days. Have an idea for an event that you'd like us to coordinate for your community? Just Ask us!